Symptoms related to lymphedema (LE) can present anywhere in the torso, arm, leg, head and neck. For most, LE erodes quality of life and makes it difficult for patients to care for themselves. For patients with head and neck LE, critical functions such as swallowing and movement can be significantly impacted as well. And while vascular surgeons and specialists who see and treat LE patients are eager to help, there are many challenges to treating chronic care patients once the underlying pathophysiology is diagnosed. But for the millions of patients suffering from this condition, sometimes simply obtaining a diagnosis can be elusive. An estimated five to 10 million Americans suffer from chronic edema caused by LE. Cancer and its treatment is usually designated as the leading cause, however as you will see below, CVI may be the most important predictor in the development of lower extremity LE. Therefore, if we begin to consider patients with CVI-induced edema as patients who require lymphatic attention, the number of patients suffering with this condition increases dramatically. However even with such a significant prevalence, insurance claim data from major U.S. payers illustrate that only one million patients obtained a primary diagnosis of the disease in the past year. Clearly, we need to better elevate awareness of proper diagnosis and treatment methods. In 1896, physiologist Ernest Henry Starling published a paper that led to what we consider the “classical model” of his principle. He deduced, in part, that transvascular fluid exchange depends on a balance between hydrostatic (pushing out) and oncotic (pulling in) pressure gradients. He also deduced that the capillaries and post-capillary venules behave as semi-permeable membranes reabsorbing fluid from the interstitial space. In 2004, Adamson and colleagues revealed that the effect of capillary oncotic pressure on transvascular fluid exchange is substantially less than predicted from the original Starling model. This discovery prompted a 2010 revision of the Starling principle by Levick and Michel which stated in short, “that it is now well established that capillaries push fluid into the interstitial space along their entire length, and not just at the arteriolar-capillary junction.” Also, the expected reabsorption of interstitial fluid via the venules simply does not occur; rather, interstitial fluid returns into the circulation via the lymphatic system alone. In CVI patients, higher pressures occur in the peripheral veins. This higher-than-normal pressure can lead to even more fluid and proteins filtering out of the vasculature and into the surrounding tissue. The lymphatics responsible for removing this fluid may be unable to keep up with the extra fluid burden and, when overwhelmed, edema occurs. Commonly prescribed diuretics may help to remove salts and fluids from the bloodstream, but stimulation of the lymphatics is frequently necessary to improve the edema itself. The increased venous filtration in CVI patients causes an initial increase in lymphatic transport. Ultimately, it overloads lymphatic capacity, which triggers swelling. Continuous overuse and high luminal pressure permanently damage the lymphatics, further reducing transport capacity. Additionally, repeated bouts of cellulitis (common to patients with this condition) can also aggravate lymphatic transport. All chronic swelling, or edema, indicates an inadequacy or failure of lymph drainage. Therefore, swelling at CEAP stage 3 isn’t just a symptom of CVI, it’s lymphedema. Some physicians believe that early treatment of CVI-related chronic edema is essential. In patients with CVI, microangiopathic changes affecting small vessels occur in the lymphatic system as well as the venous system.4 In biopsies, patients with CVI show structural lymphatic changes, including collapsed lumens, a disturbance of lumen-opening laments, and cellular interdigitations closing the lymphatic junctions, ultimately resulting in reduced functioning.5 This loss of functionality causes fluid and protein buildup, resulting in chronic edema. The condition is also known as secondary LE, or phlebolymphedema. This can complicate the clinical picture of CVI, trigger patient discomfort and lead to increased office visits and higher risk of ulceration and infection, which in turn can lead to costly treatment and possible hospitalizations. Diagnosing LE need not be a significant burden on the clinician. A proper diagnosis frequently marks the beginning of a patient’s journey towards effective self-management. For the clinician, visual- and patient-reported information can be all that is needed to define a diagnosis. All chronic peripheral edema (edema that persists for more than one month) should be evaluated for systemic causes such as heart failure, renal failure, hypoproteinemia and pulmonary hypertension. If the patient presents with these (or other) underlying conditions, she should obviously be managed appropriately. Causes of peripheral edema are not mutually exclusive however, and edema management always depends on healthy lymphatics. These patients should continue to be evaluated for lymphatic involvement. Perform a clinical evaluation documenting signs, symptoms and severity. 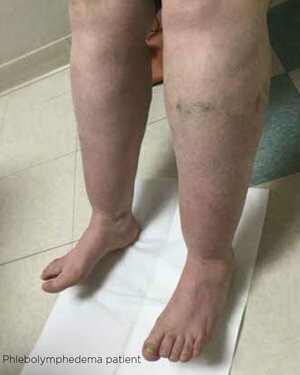 For lower extremity patients, also evaluate the patient for potential venous involvement in symptom development, frequently performed with duplex ultrasound. With this information in hand, an accurate LE diagnosis is often achieved. But for those who require more definitive testing, additional diagnostic tools are available. With a diagnosis achieved, effective treatment is required to enable patients to return to more normal function. The ideal medical treatment for CVI would achieve both a decrease in capillary filtration and an improvement in lymphatic function.12 Fortunately, effective therapies for treating this incurable condition exist and they provide vital assistance to patients and the medical community. Effective treatment of LE centers on minimizing the edema and controlling the pain and discomfort. The use of compression—through garments such as compression stockings and compression bandaging—is common practice to reduce venous hypertension, but compression also reduces capillary filtration and may help to stimulate lymphatic drainage to address the chronic swelling associated with secondary LE. However, static compression alone has not proven effective in minimizing or reversing the symptoms of LE, especially with advanced stages of the disease. Complete decongestive therapy (CDT) is an intensive therapy program designed to decrease the swelling in the limb while maintaining healthy skin and is delivered by a lymphedema therapist trained in proper techniques. CDT provides treatment and education on manual lymph drainage (MLD) massage, compression therapy, exercise and skin care. Once the edema has decreased, it is important to continue care at home to maintain symptom reduction. During the maintenance phase of LE treatment, patients are required to continue MLD massage on their own. But for many patients, increased limb size and mobility issues can make this process challenging. A 2015 publication in JAMA Dermatology illustrated dramatic results with the use of the Flexitouch system, an advanced pneumatic compression device (APCD).13 In the 12 months following the receipt of the APCD cancer-related LE, patients demonstrated a 79 percent decline in the rate of cellulitis and 37 percent reduction in LE-related costs. Non-cancer related LE patients demonstrated a 75 percent decline in the rate of cellulitis and 36 percent reduction in LE-related costs. Another study, "Home-Based Lymphedema Treatment in Patients with Cancer-Related Lymphedema or Noncancer-Related Lymphedema," was published by investigators from New York University’s Langone Medical Center’s Division of Vascular and Endovascular Surgery.14 This study validated the JAMA results and demonstrated improved quality of life in lower-extremity LE patients with use of the Flexitouch system. The primary objective of this study was to demonstrate improved QoL of lower extremity LE patients after use of the Flexitouch system, an advanced pneumatic compression device (APCD). The study’s secondary objectives were to examine the reduction of cellulitis infections and to determine the incidence of CVI in LE patients. In this study, 100 patients being treated for lower-extremity LE, and who met inclusion criteria, received the APCD in conjunction with standard LE care including compression, skin care and treatment for infection if necessary. Pre- and post-treatment data were collected on the number of cellulitis episodes, presence of venous insufficiency, number of ulcers and limb girth. A self-reported quality-of-life questionnaire was also collected before and after use of the APCD. The system was reportedly used 5.3 times per week by patients for an average of 12.7 months. All patients reported overall improvements in quality-of-life and LE symptoms. Among them, 54 percent considered their conditions greatly improved, 35 percent moderately improved and 11 percent mildly improved. Cellulitis episodes decreased by 81 percent (from 26 to five, P = 0.002), and the number of ulcers decreased by 71 percent (from 7 to 2, P = 0.007). Limb and calf girth decreased significantly. Additionally, despite the commitment to multiple treatment sessions each week, 90 percent of the patients said they would recommend the APCD to other patients. With the proper diagnosis, education and treatment, as well as an effective at-home therapy device, patients can manage their symptoms and move towards more normal function and quality of life. As to the future, research for LE and lymphatic disease is vital and should continue, as it will likely positively impact many ancillary diseases such as cardiovascular disease, infection and immunity, cancer and probably obesity. Mortimer PS, Rockson SG. New developments in clinical aspects of lymphatic disease. J Clin Invest. 2014;124(3):915–921. doi:10.1172/JCI71608. Levick JR, Michel CC. 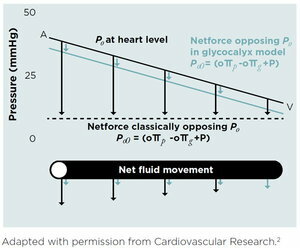 Microvascular fluid exchange and the revised Starling principle. Cardiovasc Res. 2010;87(2):198–210. Scelsi R, et al. Morphological changes of dermal blood and lymphatic vessels in chronic venous insufficiency of the leg. Int Angiol. 1994 Dec;13(4):308–11. 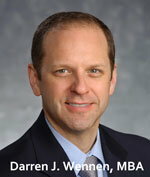 Thomas F. O’Donnell Jr., MD, John C. Rasmussen, PhD, Eva M. Sevick-Muraca, PhD, New Diagnostic Modalities in the Evaluation of Lymphedema, Journal of Vascular Surgery: Venous and Lymphatic Disorders, March, 2017 Vol. 5(2): 261–273. Suehiro K., Morikage N., Murakami M. Yamashita O., Ueda K., Samura M., et al. Subcutaneous tissue ultrasonography in legs with dependent edema and secondary lymphedema. Ann Vasc Dis 2014;7:21–7. Suehiro K., Morikage N., Murakami M., Yamashita O., Samura M., Hamano K., Significance of ultrasound examination of skin and subcutaneous tissue in secondary lower extremity lymphedema. Ann VascDis 2013;6:180–8. Karaca-Mandic P, Hirsch AT, Rockson SG, Ridner SH. The cutaneous, net clinical, and health economic benefits of advanced pneumatic compression devices in patients with lymphedema. JAMA Dermatol. 2015;151(11):1187–1193. Pearson IC, Mortimer PS. Lymphatic function in severe chronic venous insufficiency. Phlebolymphology. 2004; 44: 231–267. Blumberg SN, Berland T, et al: Pneumatic compression improves quality of life in patients with lower-extremity lymphedema. Ann Vasc Surg. May 2015; 29(4): 628629.